Rapid technological advancements in electronic and electro-mechanical components and their applications in automotive powertrain system are modeling the future of automotive transmission in the direction of improving the fuel economy, drive ability and gear shift comfort. Growth in the automobiles market driven by the progressively stringent emission norms will create huge growth opportunities for the more advanced fuel-efficient transmission technologies such as AMT, DCT, and CVT among others to reach the end consumers. Improving fuel efficiency of the vehicles has always been on ongoing process of the automobile industry. Hybridization and electrification of powertrains have gained remarkable impetus and will become a principal technological trend for future vehicles. Based on product type, automatic transmissions accounted for the largest revenue of about 45% in global automotive transmission market in 2016. Further, hybrid transmission is expected to grow at faster pace over the forecast period owing to growing adoption of hybrid vehicles across the globe. Geographically, Asia Pacific region accounted for the largest market share with 35% revenue share in global automotive transmission market. Asia Pacific is closely followed by the Europe, which occupied about 28% of the market share owing to presence of big automotive industry players and huge automobile production in the region. The major countries of Latin America such as Brazil and Mexico showcase huge opportunity for automotive transmission industry as the automobile manufacturing and sales are growing rapidly in these countries. According to our global automotive transmission market study on the basis of extensive primary and secondary research, major trends in the automotive transmission market are the factors such as shifting consumer preferences in terms of vehicle performance, enhanced fuel economy of vehicles, and higher power outputs are pushing automotive OEMs and transmission system manufacturers to invest more in research and development activities. Moreover, automobile component manufacturers are also constantly undertaking research efforts to advance vehicle performance so as to cut transmission power response time and meet carbon emission norms. According to the report, major driver in global automotive transmission market is growing environmental concerns and stringent emission norms. Automobile manufacturers are providing innovative transmission technologies in their vehicles in order to increase the fuel efficiency by reducing its overall weight. Moreover, the development of low-cost manufacturing methods for automotive transmissions is receiving a lot of attention, which is the major factor that can boost the growth of the automotive transmission market. Further, the report states that one challenge in global automotive transmission market is new emission control regulations across the globe. Major global automotive markets implementing stringent legislation focused on controlling carbon dioxide and other exhaust gas emissions and improving fuel efficiency. Key challenge for the automotive industry is to make right powertrain and technology adoptions in context of rapidly shifting societal preferences and within changing regulatory environment. The report covers the present ground scenario and the future growth prospects of the automotive transmission market for 2016-2024 along with the total revenue of automotive transmission industry in every region. We calculated the market size and revenue share on the basis of revenue generated per segment, region, and regional and country level. The revenue forecast is given on the basis of number of automotive transmission manufacturers and current growth rate of the market. Automotive Transmission Market Report has been prepared based on in-depth market analysis from industry experts. The report covers the competitive landscape and current position of major players in the global automotive transmission market. The report also includes porter’s five force model, SWOT analysis, company profiling, business strategies of market players and their business models. Global automotive transmission market report also recognizes value chain analysis to understand the cost differentiation to provide competitive advantage to the existing and new entry players. 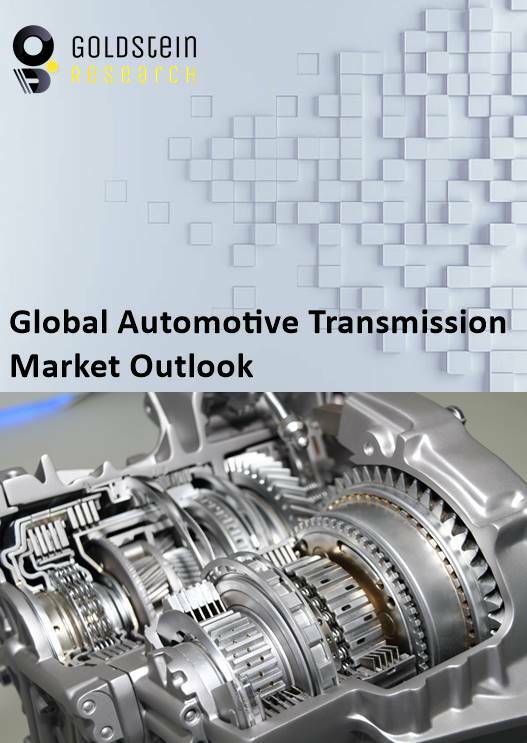 Our global automotive transmission market report comprises of the following companies as the key players in the global automotive transmission market: Allison Transmission Inc., Aisin Seiki Co. Ltd., Continental AG, BorgWarner Inc., Eaton Corporation PLC, GKN PLC, Getrag, Jatco Ltd., Magna International Inc. and ZF Friedrichshafen AG. For a full detailed overview, send request for automotive transmission market report sample.